This is our up-to-the-minute list of social image sizes and dimensions for Facebook, Twitter, Instagram, Google+, Pinterest, LinkedIn and Youtube. We're constantly updating this post, so bookmark it to ensure your social images are as picture perfect as possible. So many platforms, so many rules. Getting your images to look good on everything from Facebook to Pinterest is difficult without a guide. So we decided to make one. We’ve looked at the various sizes and dimensions you need to know to make your social accounts look great, and do what they’re supposed to. Facebook is the world’s biggest social media platform. That’s a lot of eyes that might be seeing your content. So the potential is huge here, especially with algorithm changes that favor engagement and sharing. Often the first thing people will see when they come across you ,it will appear alongside all of your posts, your comments, and pretty much all of your Facebook activity. Back in my day, we never had cover photos. There’s also the option to include video here, perfect for really getting across the “Devonshire Cheesefest 2018” vibes. You can get full details on getting videos right here. Twitter, with its 330m users, is another huge platform. Everything moves a lot faster here, so grabbing attention is important. Images are a great way to do this – and it works too. Tweets with images get 150% more retweets than their imageless counterparts. Not to be sniffed at. Businesses use this in different ways, from advertising new products and events, extra branding, or just showing some nice staff photos (we look at this in our Twitter audit guide). Instagram is pretty much all images, so knowing the relevant dimensions goes a long way. You’ll need all the help you can get to stand out in a crowd of artists, photographers, and influencers. As with all profile pictures, this will be seen next to every photo you post, so it’s important to make it eye-catching. Your profile picture will display on the app at 110 x 100 px, but will be larger on desktop. Using a 180 x 180 image will ensure it looks good across all devices. This refers to the photo as seen in the Instagram feed, or when tapped on from elsewhere (such as someone’s profile page). 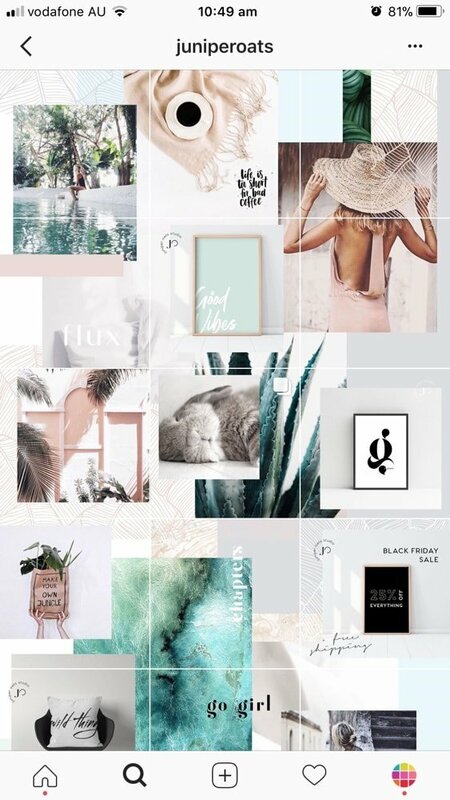 Instagram obviously leans towards square images, but you can have rectangle ones, where the platform fills out the extra space with black. 1080px is your limit. Anything over and you’ll have to crop your image. This is how your picture will appear on someone’s profile page, or in hashtag search for example. Something that grabs the eye can be important. Getting this right is very handy if you’re showcasing products, while even more so if you want to turn your entire profile page into a single picture. Time for some serious business. Now we’re onto LinkedIn where fortunes are made and an endless line of thoughtleaders post weird status updates. Either way, it is a great place to connect with people and, so, grabbing their attention can be really valuable. And as always, images are key for doing that. Once again, your profile picture will be seen more than anything else on LinkedIn. From your posts to your profile page to search results, its what people will see first when they come across you on the site. There’s never hard and fast rules here, but to nail the LinkedIn look, go for something more professional than your average Facebook one. Here we have a massive space for an image on your profile page. It goes right at the top so it’s some prime real estate to put across what you’re giving out. This can be a great place to show off some work if you’re a designer for example. If not, avoid filling it with text as a secondary resume. Just stick a nice photo of the countryside in nd you’ll be fine. Your company profile picture will leads your brand’s way on the platform. It’s generally just filled out with your logo. This is probably the best approach for a platform like LinkedIn, but if you feel like trying something different, go ahead. Come out slightly smaller than the personal profile at 300 x 300 px. The image will be a square or cropped to a circle depending on where it appears on the site. If you include text, make sure it’s actually legible. This will pop up any time your company appears in a search query, so it’s obviously good to get it right. Ultimately it just pulls the picture from your company page, so you just need to follow the same guidelines and sizes found above. This image sits at the top of a LinkedIn company page, partially obscured by the profile picture and company info. Very thin and mostly hidden, it’s an odd cover image, but there you go. This hero image refers to the ‘Life” tab company pages have when they signed up for the platform’s paid recruitment service. It’s used to show off a company’s culture in order to attract recruits, so if you’re getting one set up it’s best to aim for fun and happiness rather than grey suits and briefcases. Another very visual platform. While videos are the aim of the game here, the right imagery can be the difference between new subscribers and being ignored entirely. Successful YouTubers have learnt the art of engaging previews, so this is the place to start. Compared to other platforms, the YouTube profile picture isn’t as prominent, but it’s still important. What you choose is up to you. YouTubers will often use a picture of their own face, while publishers and companies will use their logos. Spend some time thinking about the best choice for you. You can upload smaller than 800 x 800, but you risk a low quality image. Accepted formats are JPG, BMP, PNG or GIF (but not animated GIFs). Also referred to as ‘channel art’, this will sit at the top of your YouTube channel. It gets a lot of space, so it’s worth taking time over it. Think about what will help explain what to expect from your channel. A good place to start are the topics you most often discuss. When you upload a video, YouTube can just pick a frame from it as the image preview. This isn’t always suitable though, particularly if the video is in the wrong aspect ratio or you want to have am ore descriptive cover. When you want to have your own picture, you can create it separately. Take a look at some of the most subscribed-to YouTubers to get some inspiration. Another hugely visual platform, just like Instagram, it’s practically all images. Used by millions upon millions of people every month, it’s a popular place. People use the site for ideas about anything, from weddings to decorating their home, so it’s a prime spot for retail companies. Getting the images right and showing off your products properly is essential. This doesn’t take up too much space on Pinterest, but it’s nice to give a human face to your personal boards. Ultimately this isn’t hugely important for the platform so just go for what you think represents you and your activity on Pinterest the best. Once you’ve spent ages putting together some great pins in a board, you want the board to look good too. A board cover image can help users understand what’s in the board and entice them to click. To set this, you’ll need to upload the image you want to use as a pin first. Google+ is still out there. Despite all the hype it never caught on in the way Google hoped, but it’s still used regularly by a lot of people. And, as with everything else, great imagery will help increase engagement and generate more traffic. This will sit with every post you make and take center place on your profile. It also acts as your Google profile picture as well, so it’s best to get it right. Company profiles usually use their logos for this, and this seems the most sensible approach. Google+ lets you include a massive header image on your page. It’s a great space to show off some creativity and grab attention. It’s the first thing people will see when they land on your profile page, so spend some time getting it right. Google+ is pretty visual platform, so images work really well. The platform also allows for taller images than most, so it offers extra opportunity for some creative content.